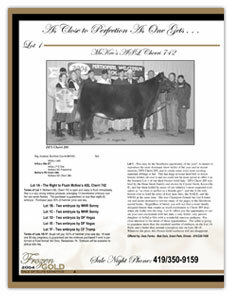 Exert from the 2004 Frozen Gold Sale Catalog. 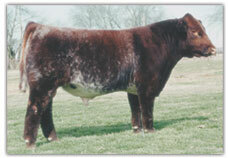 A breed great. 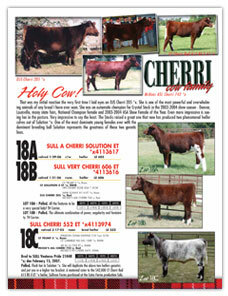 No female past or present every received the accolades Cherri 205 did or did it in such a dominating way. 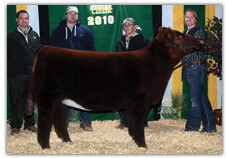 Every time she went to the ring on lookers were awestruck by her tremendous rib, power, bone and stunning look. 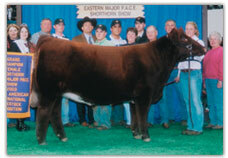 Truly a great show female that transitioned into a fantastic donor. 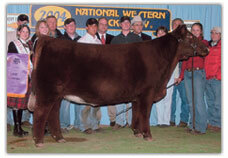 Though Cherri has passed, she has left us with a great set of daughters that appear, to date, to not only possess that same stunning showring look but also are making great young cows. 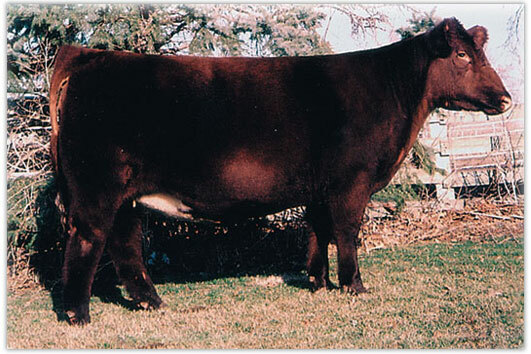 She left us with a limited embryo bank so if you have interest in her genetics please do not hesitate to call or visit our annual pasture sale. 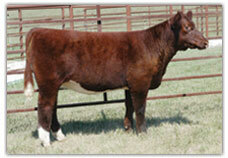 - Watch for daughters on our annual Fall Pasture Sale. 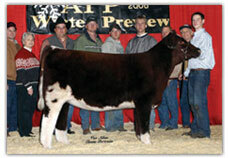 DJS Shorthorns is a family operation, for Dean and Janice Steck along with their children Craig and Crystal. 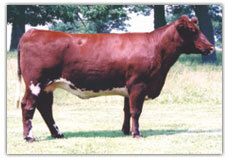 Currently DJS Shorthorns maintains a cow base of 50 purebred shorthorns. The use of artificial insemination along with embryo transplantation continues to provides them with progeny that is competitive and profitable for their customers. CLICK HERE FOR MORE.